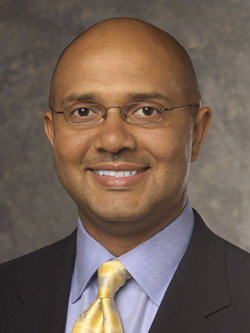 Antonio “Tony” Dozier has more than 20 years of leadership in information technology, infrastructure development, business management, and training with leading top-tier companies such as Coca-Cola, IBM, DynCorp, AT&T, Johnson Controls, Inc., Lockheed Martin, Northrop Grumman, and several others. An accomplished corporate strategist and marketer, Mr. Dozier has a diverse educational background including business administration, computer science, and computer engineering systems design. He has held numerous certifications including network administration, software administration, software development, and a host of others. As a visiting instructor, he taught a series of networking infrastructure system courses to AT&T, BellSouth, and other employees at multiple national locations. His vision, ingenuity and business savvy have driven him to establish the award-winning TDC Systems Integration, Inc. some 12 years ago. Today, TDC SI is one of the fastest growing minority firms in the country. The multi-million dollar company Dozier built consists of divisions that offer its clients complex information technology solutions, facility build out including electrical and Department of Transportation services. Presently, Mr. Dozier is expanding his Atlanta based corporation to include new offices in five southeastern cities. His firm is the only certified, minority GDOT prime contractor in the State of Georgia that currently installs Intelligent Traffic signals. . Since establishing TDC SI, Mr. Dozier has worked relentlessly to build this unique and valuable organization as a prominent industry leader in turnkey solutions, wireless communications, and network infrastructure implementation for global clients throughout North and South America. In 2006, Dozier’s firm commissioned what is known as the “most advanced airport emergency operations center in the world” at Dallas Fort Worth International Airport. Mr. Dozier was influential in TDC Systems Integration receiving several business awards including being recognized as One of the Top 25 Businesses in Cobb County (Georgia). Earlier this year the firm also received the prestigious Georgia Minority Supplier Development Council’s (GMSDC) “Supplier of the Year” Award, in the $10M to $50M category. Additionally TDC SI is honored to be listed as a 2007 Blue Ribbon Small Business by the U.S. Chamber of Commerce. This award is provided to the companies that exhibit financial stability and dedication to excellence in customer service, business planning and community involvement. Tony Dozier is extremely dedicated to empowering his community and our youth. As a noted life coach, his vision is to advance the goal of educating a scientifically and technologically literate public. When it comes to charitable contributions, Mr. Dozier’s generosity is immeasurable. He provides financial contributions to various noteworthy social and civic non-profit organizations. Mr. Dozier currently serves on the Board at the prestigious East Lake Golf Club in Atlanta, Georgia where he is an active participant in the internationally renowned First Tee Program which promotes character development and life-enhancing values through golf to Atlanta’s inner city youth. Mr. Dozier believes we can change the world one person at a time and has positively inculcated his gift of philanthropy to his employees and others within the business community. As an industry veteran with extensive global operations and management experience, he is highly sought after by company executives for his expert advice on a variety of system solutions. Even Technology Today magazine has requested his technological insight. As a visionary, Mr. Dozier’s innovative and forward thinking keeps him on the pulse of emerging industry trends. Mr. Dozier’s creative and operational strengths have distinguished him among his peers – as he has been featured on national, state and local levels as one of Atlanta’s elite small businessmen. Mr. Dozier’s commitment to providing transferable life-changing skills through technology not only encourages today’s executives, but also endorses entrepreneurs and the business community of tomorrow.